Effective classrooms are built on a foundation of two-way communication. Fostering an environment where students are comfortable discussing theories and concepts with instructors and their peers improves comprehension, retention, and increases morale. However, not all discussion results in productivity. Students may regard discussion as one-way communication with the instructor as their classmates listen on, or as an opportunity to discuss unrelated topics with their peers. Often, students will provide a brief response to a question posed by an instructor without demonstrating the thought process leading them to that response. This may further confuse students approaching the question in another way or who arrived at a different conclusion. Asking students “What do you mean by that?” or “Do you think this is true in all cases”, encourages them to reflect upon their thought processes and helps overall student comprehension by exposing them to different perspectives. Write down the basics of each student’s response on a whiteboard during a class discussion. This visual representation of the class discussion will help bolster and focus discussion while increasing student retention. Despite using the above activities, students may continue engaging with the instructor rather than each other. One solution to encourage students to discuss amongst themselves is by distancing yourself from the conversation. This doesn’t mean leaving the classroom; rather, reading notes or grading student papers during discussion time will deter students from talking directly to you and encourage them to discuss with their peers. 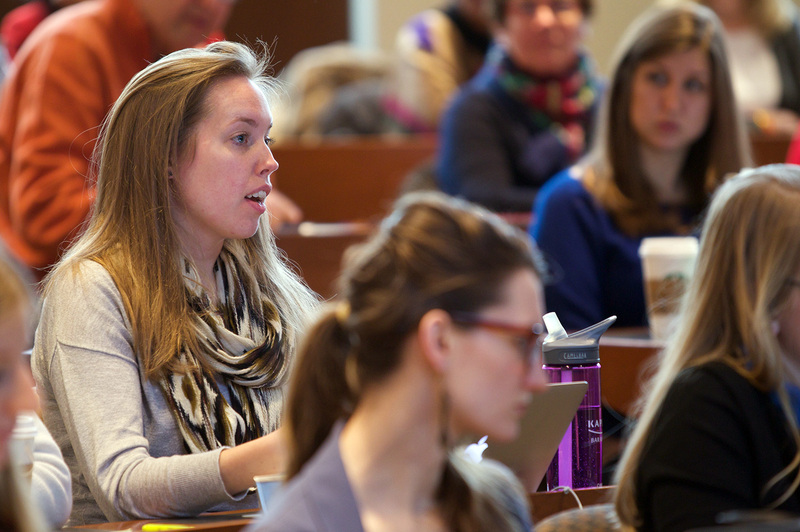 Students learn not only from their professors, but also from their peers. Using strategies such as these may focus class dialogue and foster a more effective learning environment where students may share, challenge, and learn from each other’s ideas. About the Author: Dustin is a senior account manager with DesignedUX, providing communications and marketing strategy to organizations in education and technology. Dustin is also a part-time faculty member at Centennial College and serves on the board of the Canadian Public Relations Society.